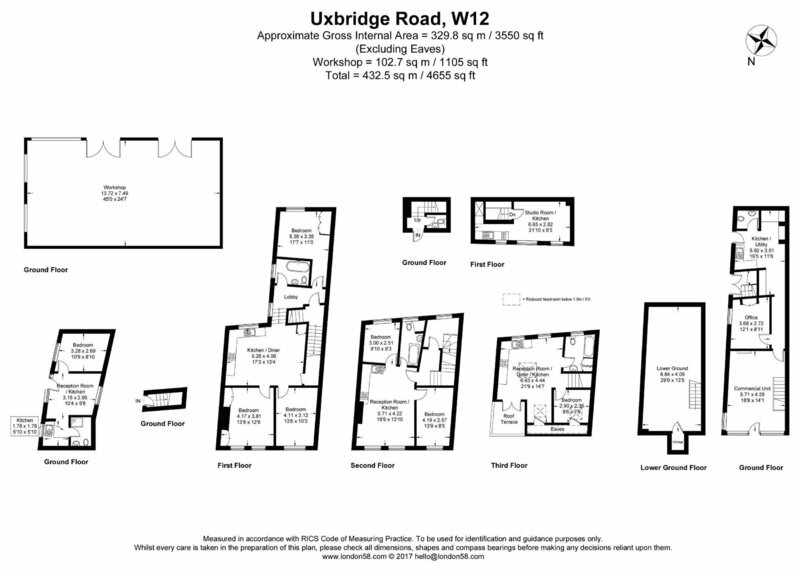 Orchards of London are pleased to bring to the sales market this fantastic development and investment opportunity of over 4500 square feet.This mixed use property is located on the vibrant Uxbridge Road. The property comprises of commercial units offering a ground floor retail unit with lower ground floor storage, an office, kitchen and bathroom, and a large workshop to the rear of the property. Furthermore you will benefit from five residential units comprising of a studio, two one bedroom apartments, a two bedroom apartment and a three bedroom apartment presented in excellent condition. The location could not be more perfect, Westfield is in close proximity and it is easy to get in and out of London. Transport links are available from Shepherd’s Bush Market Station (Circle, Hammersmith & City Lines), whilst the A40 is also within easy reach.